A mere five days after she left a comment on my last post, Mary Jackson passed away unexpectedly. We will miss her, of course, but at this time we wish to celebrate her life. Mary has always been an avid gardener and a long time member of the Cramahe Horticultural Society. She was a devoted participant in the Society’s exhibitions and collected her fair share of ribbons. Her garden in Castleton was often part of the annual local garden tour and enjoyed by many. 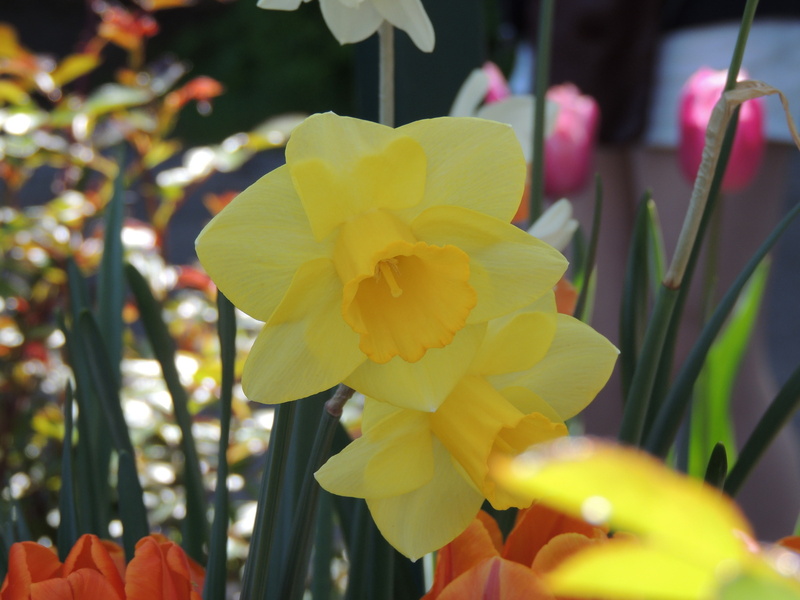 In spite of her love of all flowers, she had a strong favorite in the daffodil and in Castleton, the undergrowth of her forest was covered in daffodils each spring. Naturally, the daffodil symbolizes rebirth, new beginnings, and happiness. A joy she was always ready to share, and that might explain why she was the ”sunshine” person in the Hort Society. On the first weekend of May, we made our way from Edmonton to Vancouver stopping in the Okanagan Valley which we called home for many years. 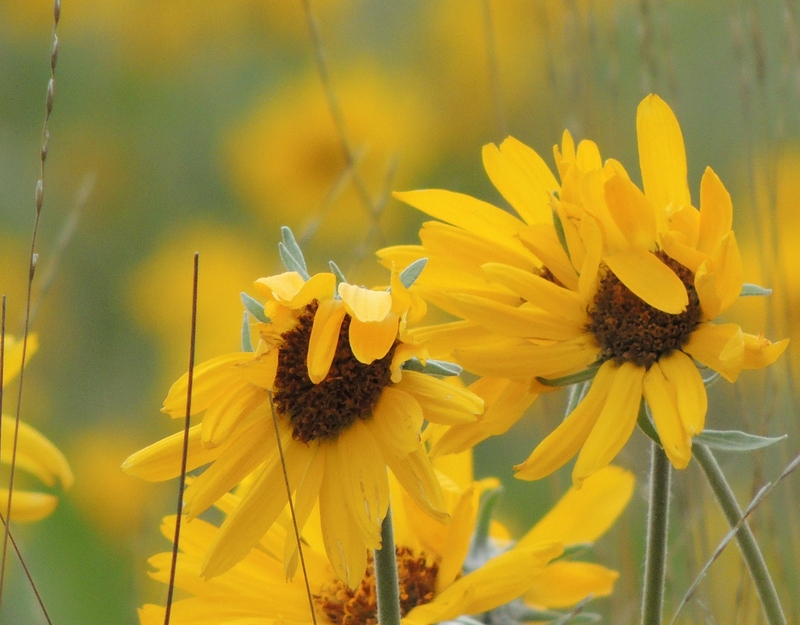 We had the pleasure of being there while the balsamroot flowers were in season. The balsamorhiza sagettata is native to the mountains and desertic regions of the West and is found in British Columbia, California and the Dakotas. It flowers for a very short time but when it does the hills are filled with the sight of poetry and perhaps the sound of music if you let your heart go. Many thanks to my wife Brenda who gladly shares her pictures for all to enjoy.